Many job seekers question the need for a cover letter to go with their resume. Is a cover letter really needed any longer? Would an employer care if I didn’t include a cover letter when submitting my resume for a job application? Cover letters remain an essential part of the job application for many employers. Even if some extra work is required to make a good cover letter, it is a wise move to include one with your resume. It can make all the difference about being awarded an interview spot or not. Cover letters – what’s the point? When you are busy looking for a new job and completing lots of applications, the last thing you want is to add an extra time-consuming task to your workload. Many job seekers don’t feel very comfortable or confident about writing a cover letter but worry not, it’s easier than you think. Your cover letter is a valuable tool that helps to deliver that bit of extra information and a deeper insight into your personality and life skills that an employer will appreciate knowing. With this in mind, let’s understand why your cover letter is necessary and how you can use it to your advantage. 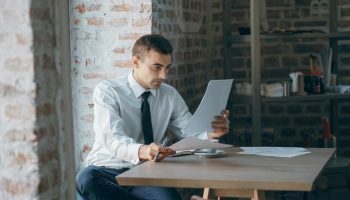 While it may be true that most large corporations don’t have the time to read over cover letters that are submitted with job applications, there are many more small and medium-sized businesses that do still appreciate them. 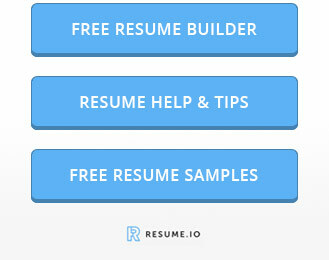 You may have heard the saying that most employers spend just a few seconds scanning over a resume looking for those specific keywords that they are looking for. When they spot relevant keywords mentioned, then the resume will be kept for further scrutiny. 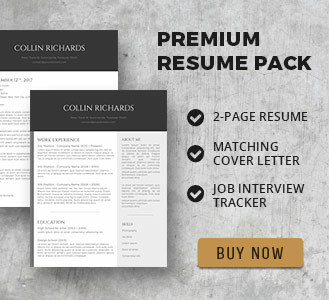 Generic resumes that don’t contain any keywords or phrases related to the job position on offer will quickly be discarded. Those resumes that make the grade will now be in a hot competition with all the other resumes that also made it through the first skim. Employers will then go on to read these resumes more thoroughly to create their shortlist for interview. However, when faced with two or three candidates with matching skills and experience that make them suitable for the job, they will often need to do a bit more digging. By supplying your cover letter, you are saving the employer a lot of extra work by delivering the information they need to make a decision. 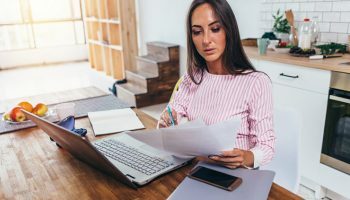 Many employers have reported that when faced with a choice between two or three equal candidates, they will choose the one that bothered to submit extra information in the form of a cover letter over the one(s) that didn’t. During the hiring process, the first line of staff that sit and sort through potentially hundreds of job applications are only involved in the first step of the recruitment process. Often these guys are not the final decision makers, so even if they don’t have time to read your cover letter, someone further down the line will appreciate the effort you took to submit one. Resumes and cover letters that make it through the screening process will be passed on to other managers and department heads that are involved in finding the right candidate to fill a position within their team. They will see you as someone that is willing to take the time and effort to provide more information and to take that extra step towards securing an interview. Your cover letter has just added a great value to your application! While you need to keep your cover letter short and sweet (check our best examples here), you don’t want to overwhelm the employer with too much information – or provide too little! Your cover letter can be a convenient tool to summarize your key skills and experience that make you perfect for the role, but you can also link to your social media pages, giving the employer a chance to find out more about you, should they want to. Just make sure that your social media pages are up to date and the information you post on there matches up with the information that you supply in your cover letter. Think of your social media pages as being an extension of your cover letter where you can quickly deliver more evidence of what makes you the perfect candidate.